Bernie Sanders win New Hampshire Democratic primary. Bernie Sanders acknowledges the crowd before speaking during his Iowa caucus night event on Feb. 1 in Des Moines. CNN is calling it: Sen. Bernie Sanders has won New Hampshire’s 2016 Democratic presidential primary. Sanders entered the day up big in the polls, which may knock the smallest amount of luster off his victory given the absurd day-of expectations game that most politicos, pundits, and political journalists engage in. But make no mistake: Bernie’s win is a significant achievement for a candidate who was widely dismissed as a Doc Brown–haired sideshow when he launched his challenge to the most dominant nonincumbent in history less than one year ago. Yes, the demographics of New Hampshire’s Democratic electorate skewed in Sanders’ favor. And, yes, the Vermont senator enjoyed near–native son status in the Granite State, where voters have a history of favoring their fellow New Englanders in primaries. But none of that changes the fact that Bernie has now battled Hillary to a near-draw in the first nominating contest of the year and handed her a convincing defeat in the second. As recently as this past summer, Sanders was still struggling to be treated as a legitimate candidate for the Democratic nomination; after New Hampshire, there’s no denying he’s a bonafide contender. To be clear: Clinton remains the overwhelming favorite to win the nomination. The former secretary of state still has the same advantages she did before voting began: the campaign and super PAC war chest, the ground game, the endorsements, the pledged superdelegates, and the general support of a party establishment that hasn’t hesitated to tilt the scales in her favor. She can see brighter days are on the horizon, too, in the form of the Nevada caucus on Feb. 20, the South Carolina primary on Feb. 27, and a March 1 Super Tuesday slate full of Southern states likely to provide her with a warm welcome. The next week or two will be rough for her, but she wouldn’t trade places with Sanders if given the chance. Yet she now has a very real reason to worry. Her team tried its hardest to tamp down expectations in the lead-up to Tuesday’s primary and will continue to do everything it can to spin the loss into something resembling an inconsequential footnote, a challenge that becomes more difficult the further she finishes from Sanders in the final New Hampshire count. But while Tuesday’s results won’t decide the nomination, the results can be discounted only so much. Sanders had the wind at his back in New Hampshire over the past few months, but the state can’t be mistaken as hostile territory for Clinton. Bill Clinton used a surprise second-place finish in the 1992 primary as a springboard to the nomination that year and went on to win the state in the general election both that fall and four years later. In 2008, Hillary beat then–Sen. Barack Obama by nearly 3 points in New Hampshire, surprising pollsters in the process. This year, she had the backing of the state’s Democratic governor, Maggie Hassan, and the state’s sole Democratic senator, Jeanne Shaheen. She led Bernie by roughly 40 points this past summer and had regained a polling lead as recently as December. Tuesday’s results should sting. Sanders and his supporters, meanwhile, should be ecstatic. 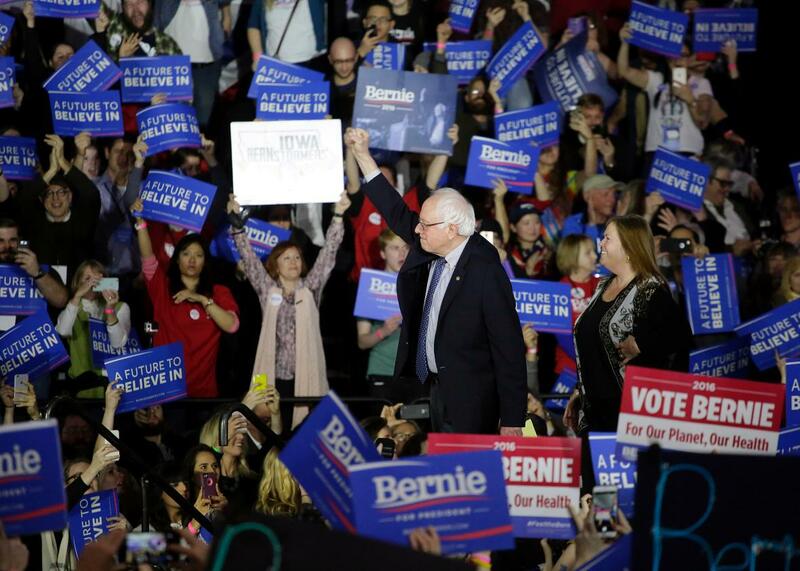 Last May, Bernie launched his campaign in New Hampshire with calls for a “political revolution.” But while talking to reporters later that same day, the self-styled democratic socialist’s rhetoric soared closer to earth. “I fully concede that I get into this race as a major underdog,” Sanders said then, before adding: “We’re going to do better than people think, and I think we’ve got a shot to win this thing.” Less than a year later, Bernie’s already proved himself right on both counts.